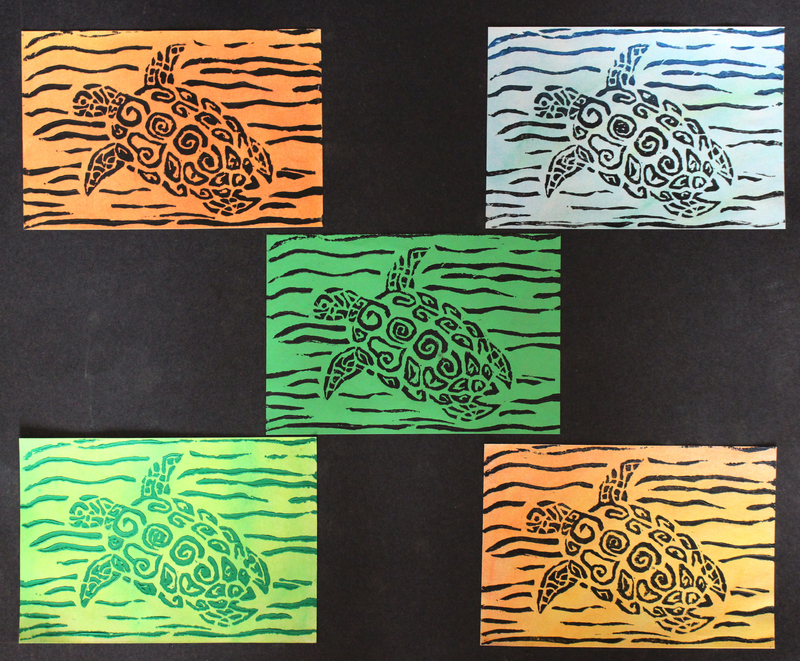 I chose to create a turtle stamp because I haven’t seen a stamp quite like it before. So I decided to create my own. For the backgrounds, I wanted them to look tropical and give the illusion that the turtle is really swimming.